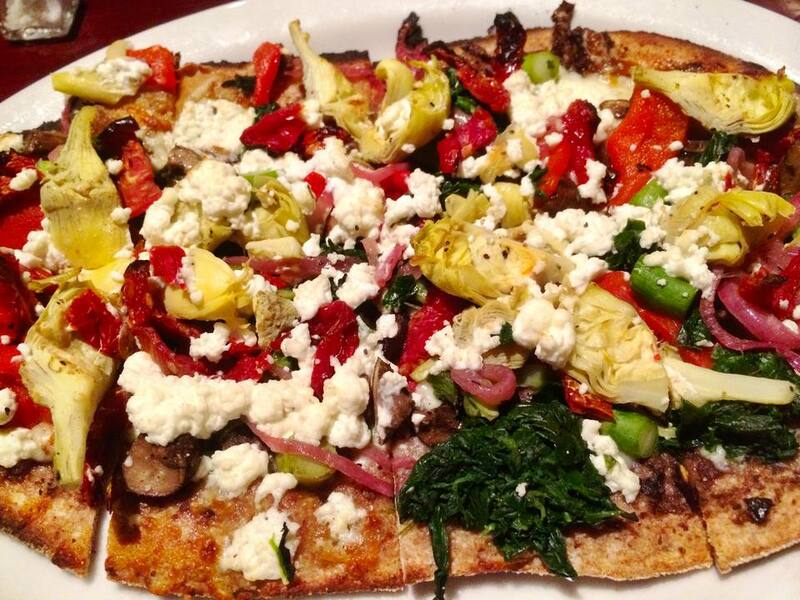 This Mediterranean pizza recipe is reminiscent of a pizza an Italian grandmother would make. Layer meat sauce on top of a crust that was thick, like focaccia, and then she would load it up with whatever vegetables she had available to her. If you don't have time to make your own pizza crust, feel free to substitute a prepared crust instead. In a large bowl or in the bowl of a stand mixer fitted with the dough hook, combine the flour, salt, sugar, and yeast. Add the oil and warm water and mix well. If making by hand, turn dough out on to a lightly floured surface and knead for approximately 10 minutes. By machine, knead the dough for 5 to 10 minutes until it is smooth and elastic. Shape dough into a ball and allow it to rest for 15 minutes before rolling out. Lightly grease a round pizza pan (15 1/2-inch pan) with olive oil. Roll out the dough and press into the pan. Allow it to rest again for about 10 to 15 minutes. Brush the crust with olive oil before adding the toppings. Brown the ground meat over medium-high heat in a saute pan until all pink disappears. Add the onion and sauté until translucent, about 5 minutes. Add cumin, tomato paste, water, salt, and pepper. Simmer for 5 to 10 minutes, uncovered. Layer the meat sauce on the pizza crust. Top with spinach, artichokes, mushrooms, tomatoes, and Feta cheese. Bake in the preheated oven at 400 F for 25 to 30 minutes or until crust edges are nicely browned and cheese crumbles have melted.